Born 1882, Gisborne, New Zealand. Died 1939, Waverley, New South Wales. Elioth Gruner is considered one of Australia’s most distinguished landscape painters, known for his unique mastery of light on the canvas. Gruner was clearly favoured by Howard Hinton, who funded a trip to Europe in 1923 and collected 19 works. Gruner moved to Sydney from New Zealand as a child. In 1894, at the age of 12, he began attending art classes with Julian Ashton. After the death of his father two years later, he worked gruelling 12 hour days as a draper’s assistant while attending classes at night with Ashton and George Lambert. From 1901 Gruner exhibited regularly with the Society of Artists. His accomplished landscape paintings made him one of the most successful painters of the first half of the twentieth century in Sydney. 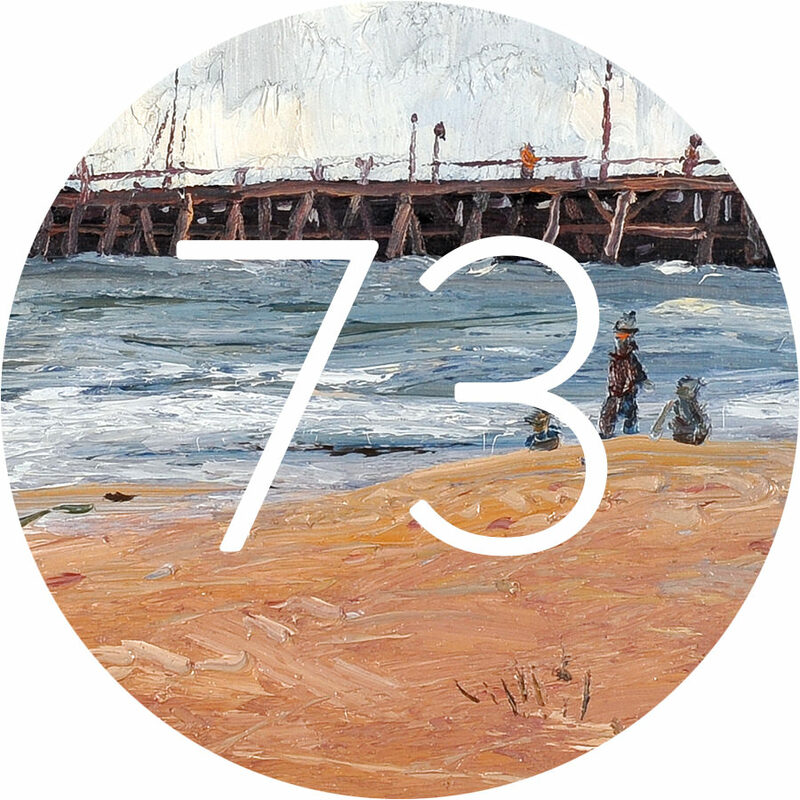 He was awarded the Wynne Prize seven times over two decades. Ashton, Lambert, J.J. Hilder and Max Meldrum influenced Gruner’s early plein air work and his preoccupation with the nature and effects of light produced paintings with strong lyricism and intensity. The influence of European Post-Impressionists on later works resulted from his travels in Europe. 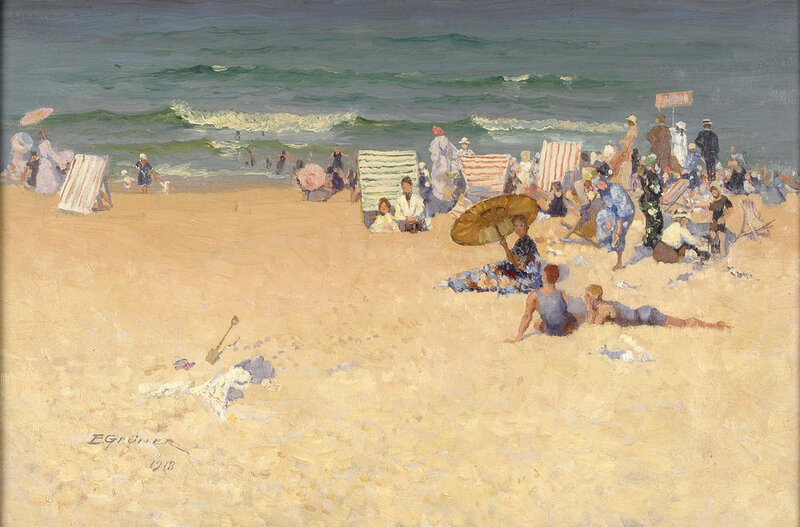 The shimmering brushstrokes in The Beach are highlighted by Gruner’s bold colours, which reflect an astonishing quality of joy, freedom and sensitivity which allows the sand, sea and sky to become a mirage of heroic proportions and significance, all reminiscent of the French Impressionists.